I’m driving away from the greatest yeshiva on earth. I feel as though my flesh was torn while ripping myself from there. My soul wants to cry, but I am driving and the clouds are pouring down the tears for me. The entire week I had spent at the Rosenhaus estate with the talmidim and staff of Beis Menachem, a yeshiva based in Wilkes-Barre, Pennsylvania. The end of the week was punctuated with a Shabbos in Gan Eden. No, Gan Eden itself must have been green with envy over that Shabbos. The truth is, ever since I left yeshiva, I have always preferred the company of bochurim. Wherever I travel, I seek out the yeshiva and sit to learn and farbreng with bochurim. So here too, for almost seven days, I learned chassidus with the bochurim, I went on walks with them, I played guitar with them. We sat to farbreng together. So what was so special here? I suppose what I enjoy about the company of bochurim is the rawness of their spirit. The t’mimus, the realness that somehow dissipates as life takes you on its multiple paths. Here, in Beis Menachem of Wilkes Barre, that realness shone bright. Here, everything was real, very real. Wilkes-Barre boys are those that didn’t fit through the system. Perhaps the holes they were supposed to fit through were just the wrong size or the wrong shape. Perhaps they just didn’t belong in any system at all—either because there was too much going on in their lives to handle being systematized, or simply because they are real people, and real people don’t belong in systems. Some of them had been out of the system for only a few months. Others had traveled to Mars and back. All had plenty of baggage. Whatever the reason they were there, they were real, and everything we discussed was very real. We learned Tanya. A perek Tanya was not about ideas, not about words, not about diukim and limudim—it was about what’s happening inside me right now. It’s about me. It’s real. I listened in on their Gemorah shiur. Everything was clear. Everything was brought down to halacha l’maaseh. Gemora was real. We sang nigunim. There was a difference in the way they sang. The nigun was not just something they had learned from their youth at the Shabbos tish or Seder Hanigunim. It came from a different place, a very deep place. And so it came out with a punch, a drive, like a geyser fountain bursts out and springs high in the air from its subterranean reservoir. We davened together. Okay, some could not get themselves to daven. Others threw themselves into it. When we sang, all were together. On Friday night, as melody after melody carried us towards the entry of the Shabbos bride, my eyes closed tight from the stimulus overload. When I managed to open them again, they beheld almost the entire yeshiva swaying, arms over each others shoulders, in chains of fire. We walked together. Bochurim poured out their hearts to me. The more mature ones had attained a sense of self-awareness rare even in men double their age. The younger ones, many were struggling, swinging back and forth between commitment and running away. But they all were deeply aware of something most essential, the one thing that had made this place the only place they could be happy if they stayed. They knew that someone cares. I spoke with Uri Perlman, the father and director of Beis Menachem, many times. I wrote to him later that I saw this was the one central element around which all else was built: Caring, and showing that you care. The caring is visible and real. And the bochurim know that it’s real. That’s why it trickles down. The staff cares. The shluchim-bochurim care. The bochurim themselves care deeply about one another, molding friendships as solid as tempered steel. And the bochurim care about their mashpi’im and about their director. 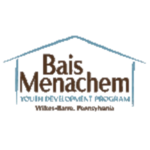 If I had to summarize that in as few words as possible, I would say, Beis Menachem of Wilkes-Barre is Chassidus Chabad applied. If I were to build a yeshiva based on Tanya and the Rebbe’s sichos, it would have to look like Beis Menachem of Wilkes-Barre. If the mashpi’im they tell about in the tales of Lubavitch “back then” were alive today and knew the bochur of today as well as they knew the bochur of those days, I have no doubt this is what their yeshivas would look like. And if every yeshiva were built on the same principles, Chassidus Chabad would have long flooded the earth by now. What else is Chassidus but caring, and what else is Chassidus Chabad but caring intelligently? I waited expectantly for the standard consequences any rosh yeshiva of such a motley crew might have to provide. “…we’ll never do this again.” Or, “…you’ll stay here until it’s done.” Or, “…there will be a knas of $20 on each one of you.” I suppose I was just so used to hearing those things, even after a week of hearing the opposite, it was still the expected. Each one ran to do his job. I got off easy. Just threw my paper plate in the trash, hugged a few bochurim goodbye, and ran out of there. I had to run. Otherwise, I might have been committed for life.